Treat them to the fabulous tastes and flavors of California! 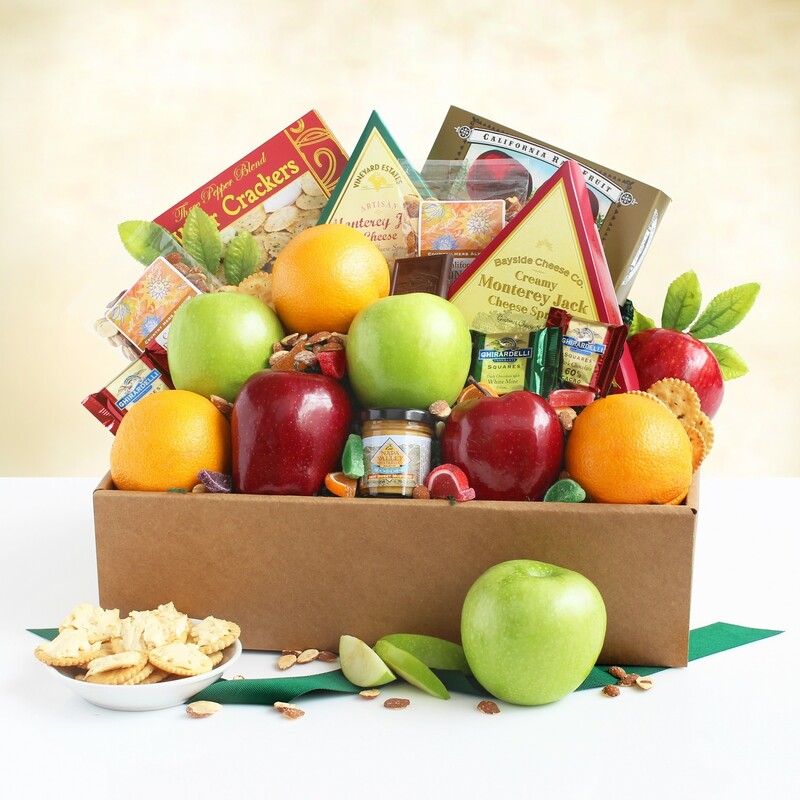 Give the gift of the Golden State in a classic gift box that holds fresh fruits and delicious sweet and savory gourmet snacks. PERISHABLE GIFT SHIPPING: We recommend shipping 2-Day or Overnight for baskets with perishable items (fruit, cheese, chocolate). We also recommend these products are only shipped Mon~Wed or Thursday with Overnight delivery. We can only guarantee freshness if these guidelines are followed.